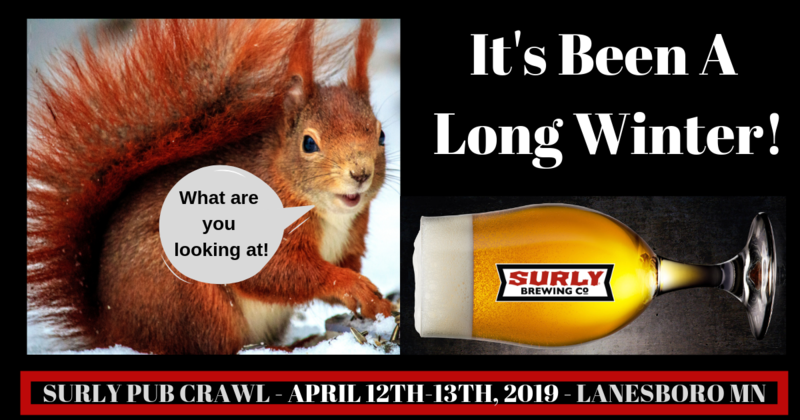 Get Squirrelly with Surly at the Third Annual Pub Crawl in Lanesboro, MN! This event is FREE to attend. Participating bars will be handing out Punch Passes. Try all 12 beers! 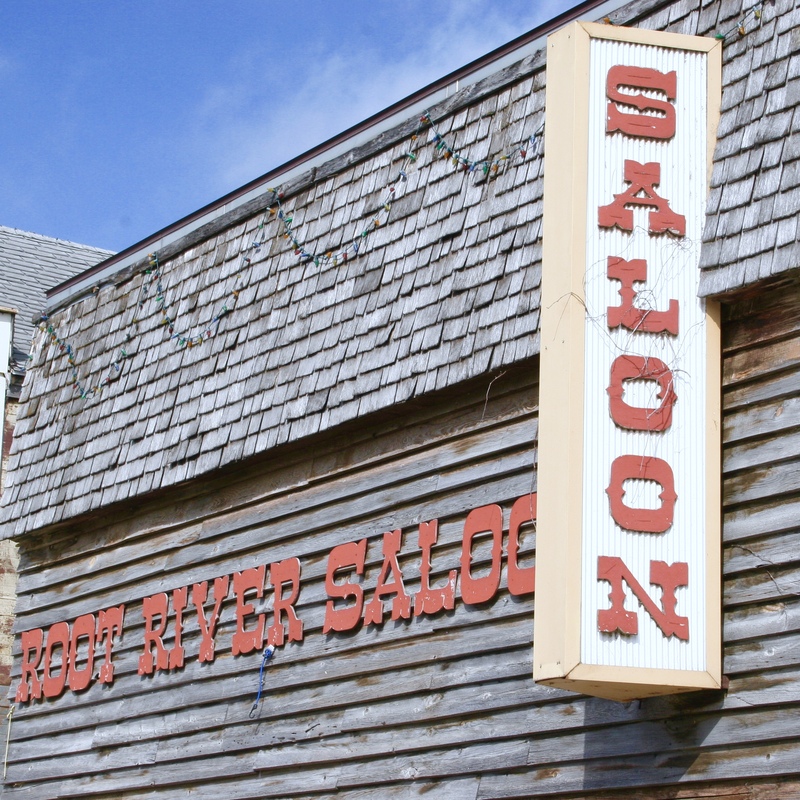 Join us April 12th -13th for our Lanesboro, MN Town Wide Pub Crawl. We travel bar to bar, drink Surly beers, enjoy time with friends and crawl on! This event is meant to be an experience in beer education, as your goal is to taste all 12 Surly beers. 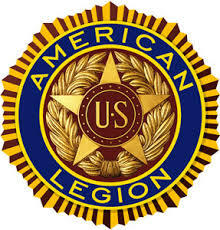 The High Court Pub, The Root River Saloon, Pedal Pushers and the American Legion are all fighting global warming one cold beer at a time, so come and join us on April 12th! No cover at participating bars! Drink specials at all participating bars! 6 pm: Town Tap Takeover – Get Squirrelly with Surly! 8 pm: Live Music with Charlie Warner at High Court Pub. Score free Surly Gear! PRIZE 1 – Voucher for 2 vip admissions – SURLY FESTIVAL FIELD CONCERT EVENT. 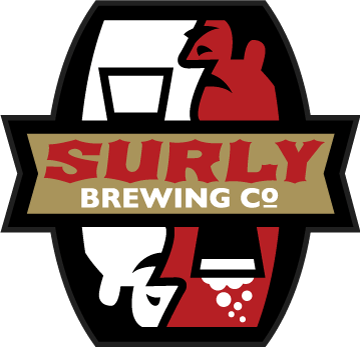 PRIZE 2 – Voucher for 2 private tour and beer at Surly brewing MPLS. PRIZE 3 – Bottle of 2019 BA Darkness. Want your friends to come? Either link them to this page, or invite them on our Facebook event page! Want to help spread the word? Print out and share our event poster! Must be 21 years of age to participate. Event will go on rain, snow, or shine. This event is meant to be an experience in beer education and community. We ask that you drink responsibly, find a designated driver, or stay in Lanesboro for the night!